The two-man race between Yong ‘ykwon17’ Kwon and David ‘dehhhhh’ Coleman for #1 in the New Jersey Online Poker Rankings is at end. Following a consistent stint in the top-10 during the better part of the year, Michael ‘Gags30’ Gagliano is now in pole position in his home state. Gagliano is the only player in New Jersey with over 4,000 PLB points. In November, Gagliano achieved five wins with a win in the $500 PokerStarsNJ High Roller serving as the highwater mark. That score earned Gagliano $7,708 and he also collected a win in the 888poker NJ New Jersey Poker Classic series. Gagliano was #4 in the previous rankings and will look to stay on top for at least another month. Kwon is #2 in New Jersey after notching eight wins. All of Kwon’s wins were for under $2,000 but he reversed that trend to start December. On December 3, Kwon won the Half Price Sunday High Roller on PokerStarsNJ for $7,754. He will be playing the WPT Bellagio Five Diamond event this week and for now, Coleman sits in third place. Coleman won a seat on PlayMGM and will attempt to add to his three wins from November once he returns from Las Vegas. 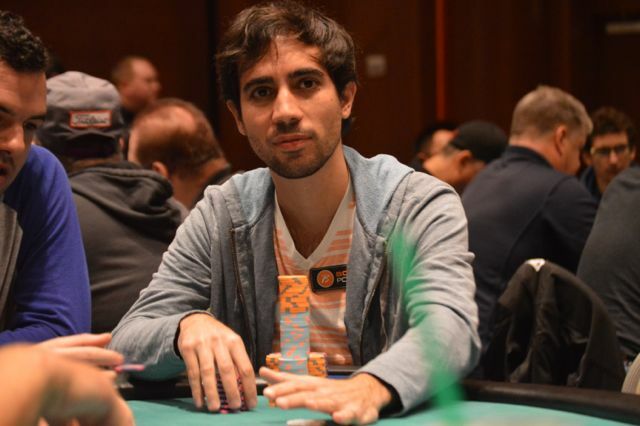 Close behind Coleman by less than 50 PLB points is Daniel ‘centrfieldr’ Lupo. As a result of the rise of Gagliano, Lupo goes from #3 in the rankings to #4. One of the largest scores of November belonged to Jeremy ‘Jermz’ Danger, who claimed victory in the November 5 Sunday Special on PokerStarsNJ. The victory earned Danger almost $10,000 and he is up to #5 in the NJ rankings. John ‘Selurznug’ Cosgrove has been putting in infinite volume over the recent months since he first entered the top-10 and did so again in November. Cosgrove entered the winner’s circle eight times and made 14 additional trips to the podium. In seventh place for the second straight month is Freddy ‘BiggDaddy’ Ferrell, who won two sizable events. Ferrell shipped the PokerStarsNJ Sunday High Roller on November 26 for $7,614 and won NJPC Event #33 (Sunday Funday $25,000 GTD) for $9,894 more. Michael ‘JohnnnyDrama’ Haberman and Andrew ‘Mergulas’ Glauberg are back in the top-10 and #8 and #9, respectively. Haberman shipped two NJPC events and Glauberg took down one of his own. Rounding up the group is Keith ‘donnysack’ Donovan. Donovan moved into the top-10 last month and collected seven top-three finishes in order to keep himself there.